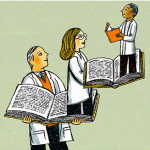 Welcome to the newly-designed Chronicle of Evidence-Based mentoring! Since 2013, the Chronicle has been an online resource for sharing new findings and ideas about youth mentoring. We hope that the research and ideas that you find here will inform practice and to encourage active dialogue around evidence-based practice in youth mentoring in ways that improve the practice of youth mentoring. The Chronicle has 10,000 subscribers across 11 different countries. It contains several features, some old some new. Editor’s Blog—My perspectives on findings and trends in the field. Research—summaries and implications of new, peer-reviewed youth mentoring findings as well as findings from other fields. Practice-—summaries of new, peer-reviewed youth mentoring findings with particular focus on implications for practice. Profiles in Mentoring—Q & A’s with outstanding researchers and practitioners. Contributing Editors—featuring the regular perspectives of the field’s leading researchers and practitioners including Tim Cavell, Janet Forbush, Michael Garringer, Noelle Hurd, Sam McQuillan, Bernadette Sanchez, Matt Hagler, and others. 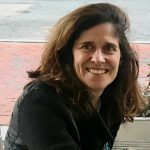 Each of these features has sharing features as well as comment sections, through which I hope you will initiate and join conversations around particular topics and findings. I invite you to visit the Chronicle regularly and be an active participant in this research/practice community. In exchange, I promise to add new content on a regular basis. 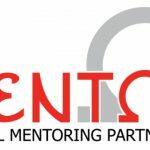 Finally, I want to thank MENTOR: The National Mentoring Partnership for their support of this effort and Academic Web Pages, the leading provider of websites to academics and nonprofit organizations and centers. We could not have done this without their generosity and support. Thank you so much for taking the time to read this and for your investment in the field of youth mentoring.